A hybrid mobile app is similar to any app that you download from an App Store, but the fundamentals of how they work is different from native apps. Where Do Hybrid Mobile Apps Come From? 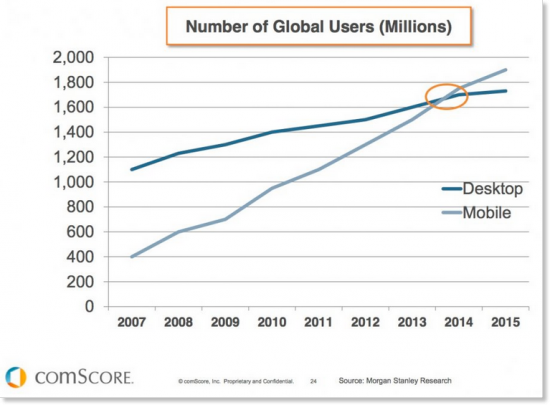 The above graph clearly communicates that the number of mobile users have clearly overtaken desktop users, which is resulting in businesses refocusing priorities to cater to mobile users. While businesses already had a presence on the webâ€”in most cases a websiteâ€”the easiest option for them to scale up to all mobile platforms is to consider the hybrid approach. It helps them to keep teams with similar skillsets without having to invest hugely in iOS, Android, or Windows Native developers in one go. It sounds like a cost effective strategy, so letâ€™s dig deeper. HTML5, CSS3 & ES6 in a Mobile App. Really? In recent years the web has moved towards standards. We rarely find new web apps with metatags for compatibility with IE6. These HTML5, CSS3 and ES6 standards means the web is now cleaner, working across standard browsers without having to change code. In fact, you can scan your website for interoperability best practices here that also help development of cross-platform hybrid apps. Looking at this, we can leverage the standards to ensure we end up using the same DOM even in hybrid mobile apps across all platforms. This approach helps us write clean code and helps easily maintain it. Check out the code for the native-looking header bar for iOS, Android and Windows Phone on JSFiddle. Similarly, we can use platform specific fonts by querying device type. These plug-ins include APIs for accessing the deviceâ€™s accelerometer, contacts, camera, and more. There are also a number of plug-ins that are built and maintained by the developer community at large. 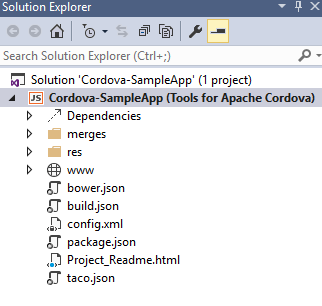 These can be found in the Apache Cordova Plugins Registry. 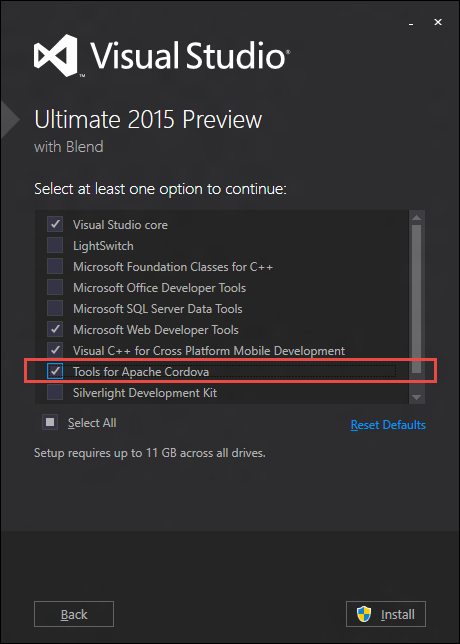 While installing Visual Studio 2015 (try VS Code for Mac, Linux, or Windows or the new Dev Essentials offerings that includes cross-platform tools) ensure that you select custom install and select checkbox for â€˜Tools for Apache Cordovaâ€™. 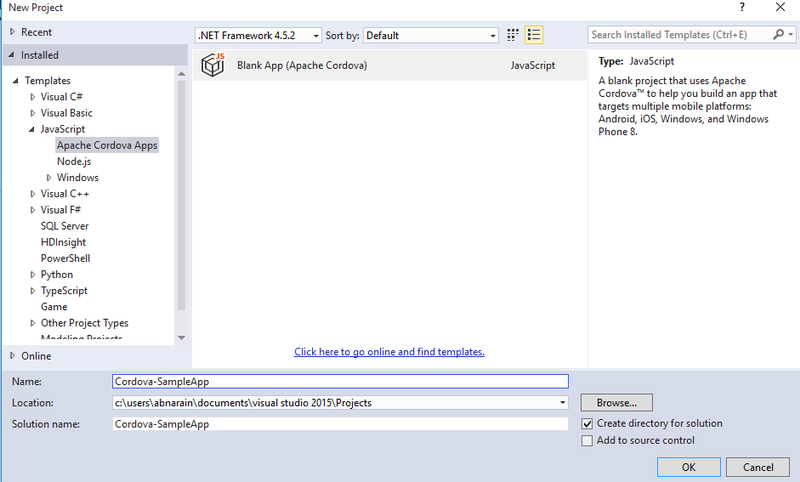 You can use AngularJS or any other JS library of your choice, with Intellisense. 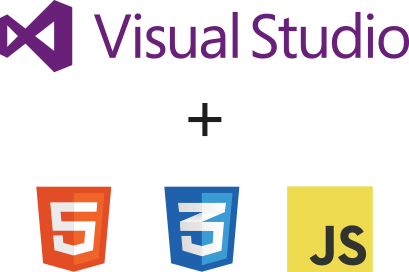 Hence developers can be more productive using Visual Studio. Not just this but the debugging experience is great too. 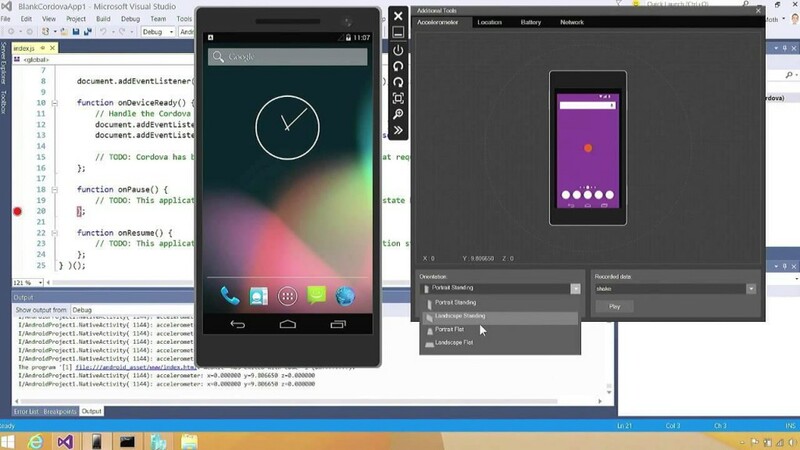 Visual Studio ships an Android Emulator which boots up lightning fast compared to the one present with the SDK. Increasingly, hosted web apps are a new lower cost way to build cross-platforms apps using a pre-existing web experience. The web app is hosted on the server and the HTML/CSS/JS files are not present locally in the package. Open source libraries like manifold.JS have increasingly made this path easier â€“ you build your manifest file, upload logos, and you can quickly put your web app in the Android, iOS, and Windows Stores. Some platforms like the Universal Windows Platform also permit use of native APIs like notifications and monetization features. You can follow this tutorial to create a hosted web application in a few minutes for Windows 10. This sounds like a great option for web developers who already have responsive web applications to get started with UWP APIs without having to start from scratch. Application updates are controlled from the server, so the application is always updated. Native API access/Cortana/Windows Hello etc. It requires a consistent network connection, as the application files are hosted on the server. Then Why Use Native at All? In the past Facebook had leveraged the hybrid approach for their apps to ship cross-platform, which they replaced later with native apps, claiming faster performance since native apps leverage platform specific APIs. I am not suggesting that hybrid apps are always a failure, but you need to select the approach wisely based on your app requirements, user expectations, APIs that you want to use, etc. At the end of the day all you want is that the users enjoy and use your application as much as possible. 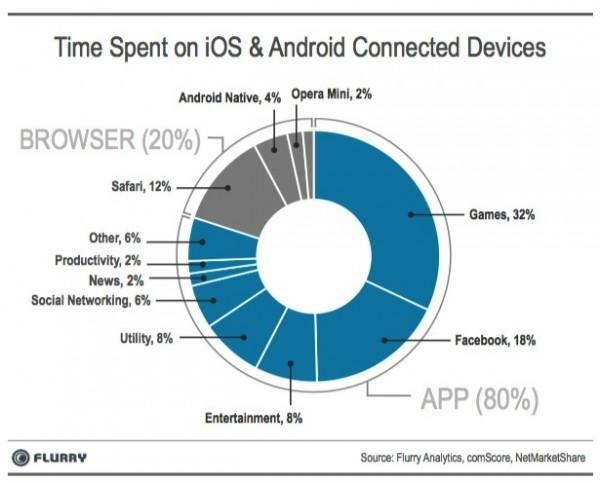 The statistics from flurry below show the usage of different categories of apps on Android and iOS. This is interesting to know as it gives an insight into what end users like doing most on each platform. If your app’s category coincides with higher percentage use apps, you have a bigger audience but might have stiffer competition from other apps. You might consider this in taking a call for hybrid or native application development. I have seen many B2B apps using hybrid approaches to meet business requirements over focusing on end user experience, many of whom can afford to do this as their audience is already well-trained in using their existing apps. In B2C scenarios, the focus changes a bit. End users expect the simplest and the best of experiences from your application, so you need to focus on UX, performance, simplicity, stickiness and other consumer retention concerns. There’s nothing better than when you can use a native platform specific feature here like â€˜Windows Helloâ€™ to authenticate the user by scanning their retina or leverage TouchID in an iOS App. Abhishek Narain is a Technical Evangelist at Microsoft. 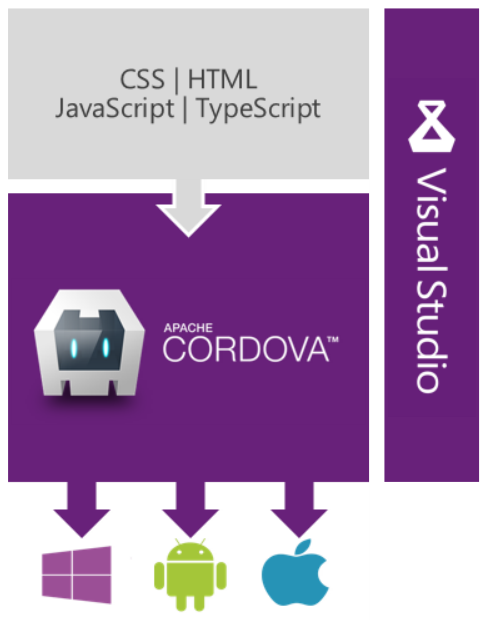 You can read more articles from Abhishek at MSDN.